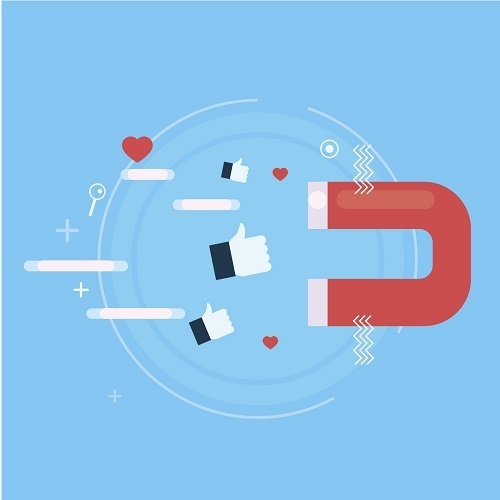 Since the ‘Like’ button in all its various guises was invented, ‘engagement’ has become the most commonly used measure of success by marketers on social. But what if – regardless of all this so-called interaction occurring – the message is getting lost? With such a huge amount of noise online, it’s pretty much impossible to properly view all of the content from brands you follow. Even if you do view something – would you remember it a day later? I know I wouldn’t be able to recall in detail the last branded-post I interacted with on Facebook or Instagram, which let’s be honest – despite my supposed Like – means it probably didn’t hold my attention all that much. The same goes for advertising or digital publishing. So, how can attention be measured on different channels, and what can it tell us? Let’s discuss. For digital publishers, or any brand that puts content on its own website, page views and unique visitors have traditionally been used to measure success. However, these metrics only offer a brief snapshot of how many people are visiting a site – not how many people are actually (or thoroughly) consuming its content. As a result, these metrics are often called ‘vanity metrics’, as they fail to provide marketers with any real measure of the impact content has on a user. In contrast, attention metrics allow publishers to see the bigger picture – i.e. how a user is behaving over the entirety of a session. This can show levels of interest in specific articles or categories, as well as whether it leads to engagement elsewhere on the site. In this case, attention can be measured by dwell time, which indicates the amount of time passed between the moment a user clicks a search result and returns back to the SERPs. Time spent is another – a metric that tells you the amount of time a visitor spends on a page before going anywhere else. When it comes to measuring the success of ads online, impressions and click-through rates are most commonly used. However, this is quite a large ballpark, telling us how many users are either receiving ads or converting (which in reality, are two opposite ends of the spectrum). So, what about the impact ads are having on users in the middle? According to Google, measuring viewability and audibility in conjunction could provide better insight into ad success. This is because users who both see and hear ads tend to experience higher brand awareness, higher ad recall, and higher consideration (than those who only see or only hear ads). Of course, this still doesn’t confirm how long users actually spend viewing ads. Consequently, it’s more effective to tap into the specifics of ad viewability, e.g. time in view, time spent, or video completion. Other technology can help to bring user attention on ads to life. Mouse tracking can measure page movement, as well as tell you when a user hovers over an ad. Eye tracking can delve even deeper, indicating how a user studies various parts of a page, and how long they linger over ads (as well as what parts capture their interest the most). The benefits of this extend to more than just performance measurement, with insight allowing marketers to deliberately take action, and create future campaigns based on the results. 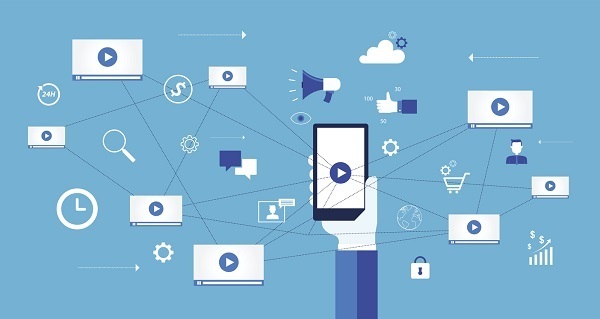 When it comes to social ads, another indication of attention can be level of recall – i.e. whether a person is able to remember an ad or is generally more aware of brand after viewing content. Facebook has its own specific metric for this, called ‘Estimated ad recall lift’. Facebook suggests that it is calculated by looking at the number of people the ad reached, how much time people spent with it, as well as the historical relationships between the attention people give ads. On social media, content can easily slip through the net (or feed, so to speak) as well as simply be ignored. As a result, it’s vital that marketers delve deeper into engagement metrics, and give basic Likes or followers a little less weight. Engagement metrics such as comments and shares can offer far more insight into how much attention is being paid. Shares indicate whether a user deems something good enough to recommend, while comments can offer more specific feedback or sentiment about a brand – both positive and negative. In both cases. this level of interaction shows that the user has become invested. Meanwhile, because content can often be shared and not viewed (there are well publicised stats to show the proportion of shared links that generate zero clicks), or perhaps viewed in isolation on social media channels, click-throughs are a vital sign of user attention and interest. Lastly, for video content, watch time or completion proves that interest has been held. How can brands break through the attention barrier? It’s all well and good to recognise the importance of attention, but how can brands capture it? After all, in a world of breaking news, on-demand content, and constant mobile usage – user attention is shorter than ever before. A Microsoft study found that the average attention span declined from 12 seconds in 2000 to eight seconds in 2015. Rational thinking would suggest it has got even shorter as the amount of content online increases. To finish, here are a few key ways to increase attention on different channels. Look at load times. It appears we’re unable to focus at the best of times, which means anything that delays a user consuming content or getting to a final destination is going to hamper this – and increase bounce rates. Ensure load times are quick and sites are free from bugs. Do your research. In order to increase user attention on a website, it’s important to understand why that person has come there in the first place. Look at search interest or social sentiment, and find out what people are talking about (and looking for) in relation to your brand. Target users likely to engage. If your analytics show that users are failing to pay attention to ads, it could be because you are targeting the wrong audience in the first place. Digging deeper into relevant demographics and other segments could mean that ads are more relevant and therefore successful at generating deep engagement. Consider opt-in ads. When confronted with a full-page video ad, most digital users tend to adopt a ‘fight or flight’ response, meaning there’s a good chance they could abandon a session entirely. In contrast, opt-in ads are reported to generate eight times more mental engagement, three-times more time spent with the brand, and a higher brand recall than interstitial ads. So, simply by giving users more control over what they see, you could end up generating far more engagement. Make it visual. Research tell us that visual content is processed 60,000 times faster in the brain compared to text, meaning it grabs the attention in a much more impactful way. Whether it’s imagery or video, making your content visual will help make it stand out in the feed. Strike up a conversation. Finally, in order to encourage comments and shares, why not ask? If you ask for interaction, users might be more inclined to volunteer the fact that they’re paying attention. Next Post Could Voucher Codes Be the Key to Help Advertisers Unlock a Post-GDPR Audience?